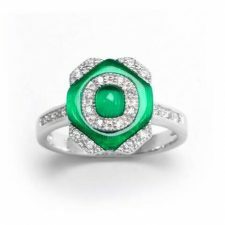 £160 925 Sterling Silver ring, set with green cat’s eye glass and round cut cubic zirconia stones. 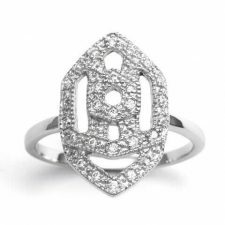 Set on a Sterling Silver shank, stamped with the signature V logo. 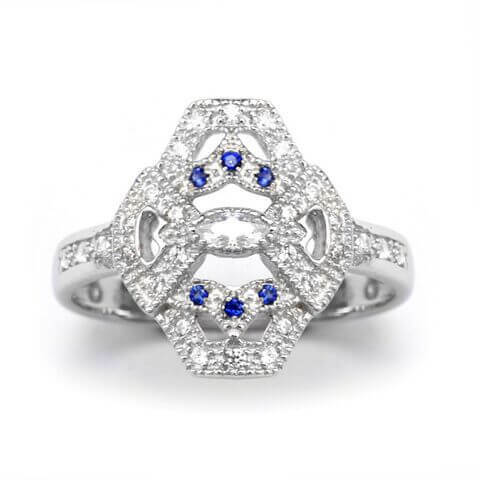 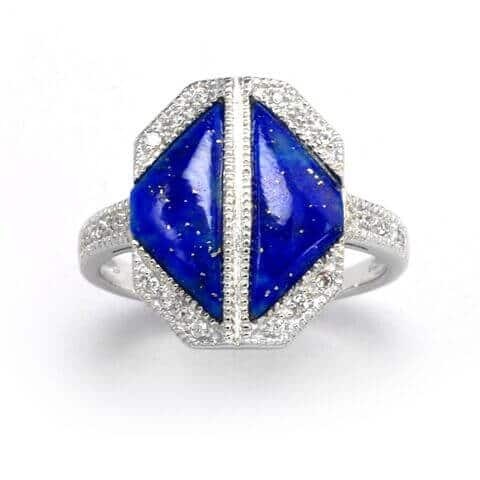 £125925 Sterling Silver ring, set with cubic zirconia stones and blue lapis. Set on a Sterling Silver shank, stamped with the signature V logo. 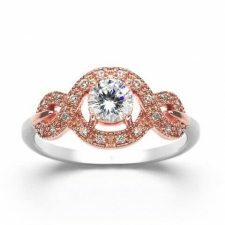 £100925 Sterling Silver and rose gold plated ring, set with cubic zirconia stones. Set on a rose gold plated and Sterling Silver shank, stamped with the signature V logo. 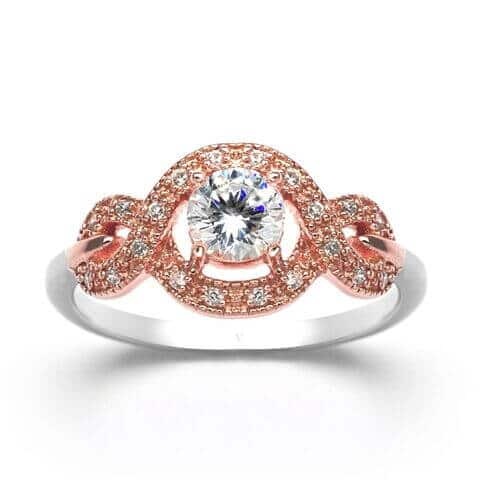 £115925 Sterling Silver and rose gold plated ring, set with sapphire and cubic zirconia stone. 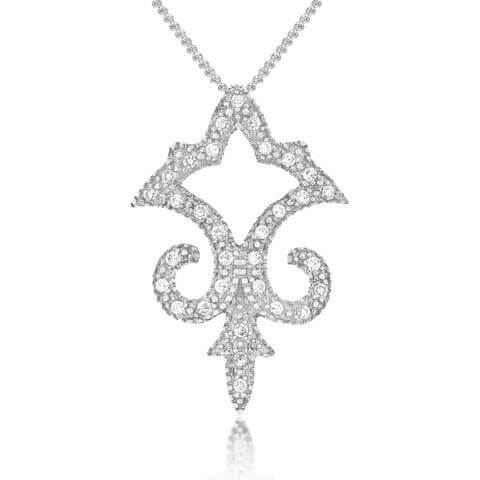 Set on a Sterling Silver shank, stamped with the signature V logo. 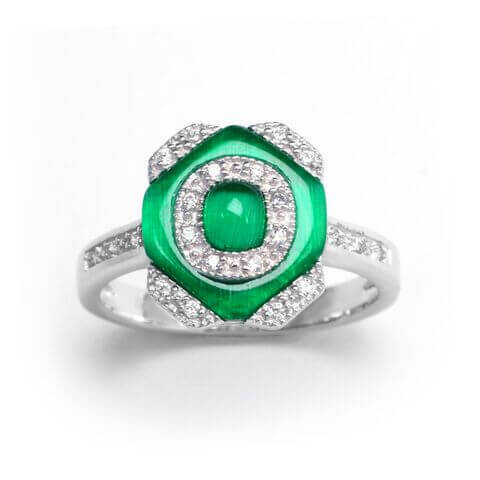 £95925 Sterling Silver ring, set with round cut cubic zirconia stones. Set on a Sterling Silver shank, stamped with the signature V logo. £80Beauty is captured in the simple combination of rose gold and blue chalcedony in this pendant. 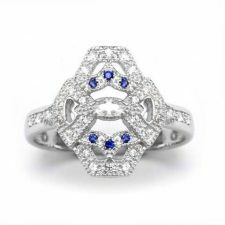 While cubic zirconia and milgrain edging add vintage-inspired detail to the metal, the milky centre stone lends a contemporary feel to a classic design. £100Based on the Greek myth of the great mortal weaver Arachne, this silver pendant is encrusted in 35 cubic zirconia stones. 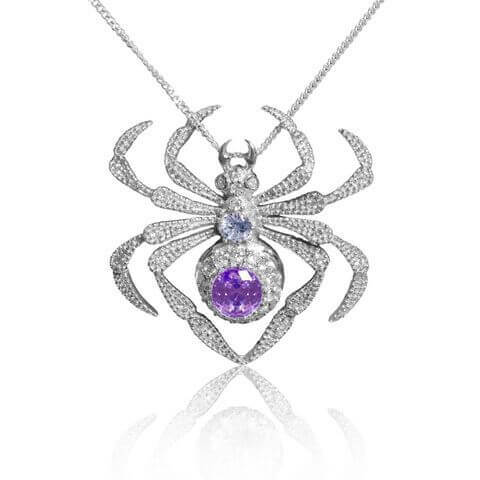 One large purple amethyst stone is claw set into the body and milgrain lines the spider, with detailing to the head and legs. 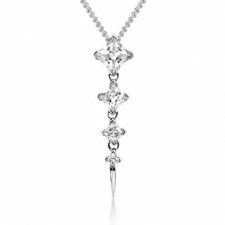 £100 Silver and Cubic Zirconia. 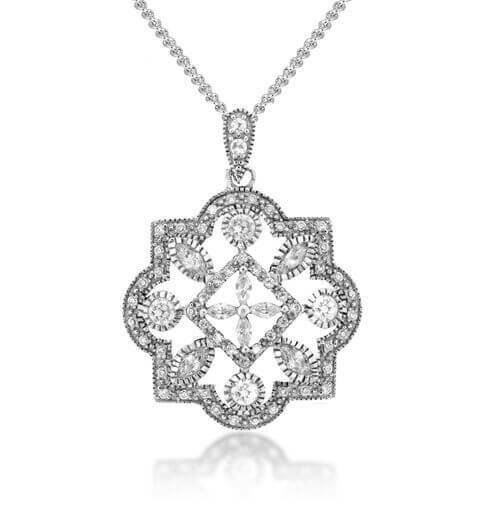 £70 Silver and Cubic Zirconia. 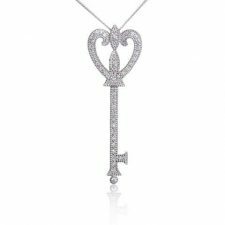 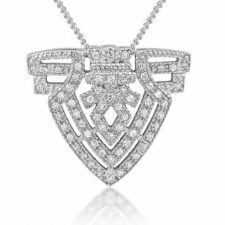 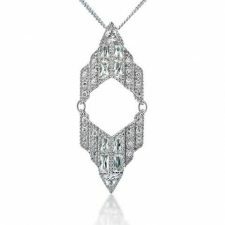 £95Inspired by New York’s classically Art Deco Chrysler building, this pendant mirrors the peak of the skyscraper with trillion cut cubic zirconia stones forming points at both the top and bottom. 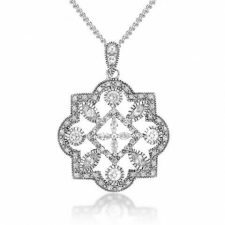 £115Inspired by the royal letter seal, this intricate square shaped pendant features 60 hand set brilliant cut and 8 marquise cut cubic zirconia stones. 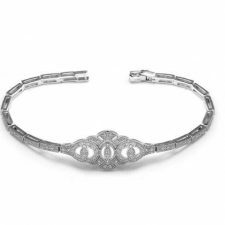 The delicate flower patterns within the design are complimented by milgrain detailing and a hinged bail for gentle movement. 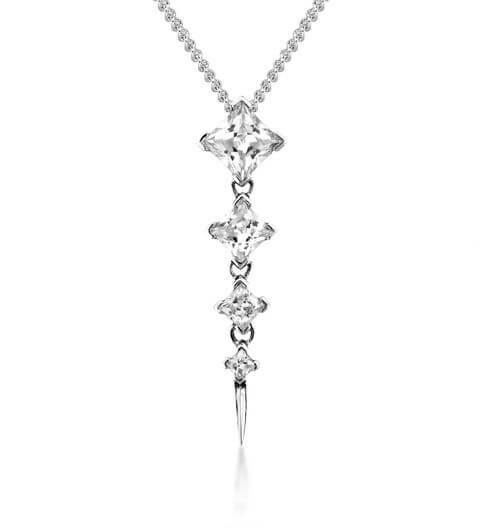 £65 Silver and Cubic Zirconia. 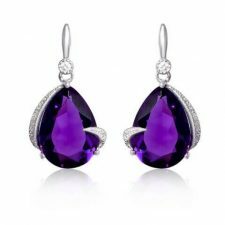 £95Inspired by the Greek story of the Keres sisters, dark spirits with gnashing teeth and sharp claws, these mythical earrings are each studded with 4 cubic zirconia stones and clutch a teardrop shaped deep purple amethyst. 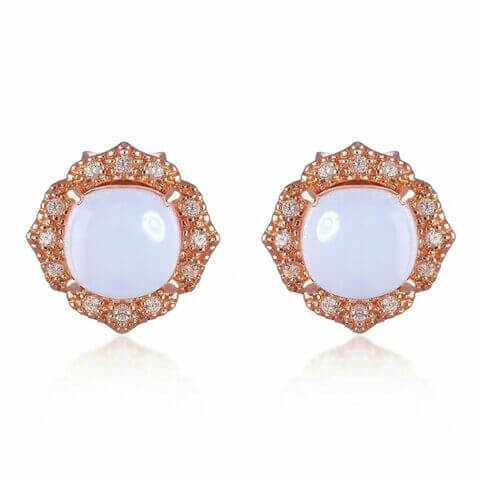 £80Beauty is captured in the simple combination of rose gold and blue chalcedony in these earrings. 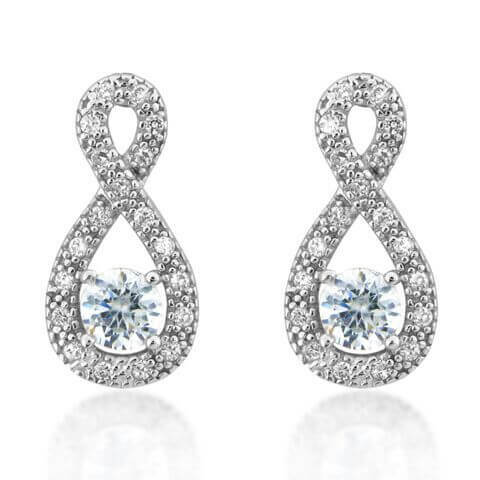 While cubic zirconia and milgrain edging add vintage-inspired detail to the metal, the milky centre stones lend a contemporary feel to a classic design. 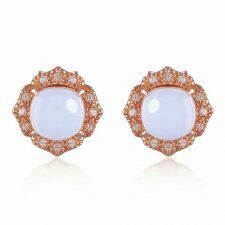 Fitted with a post and butterfly fastening for pierced ears. 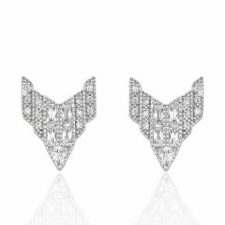 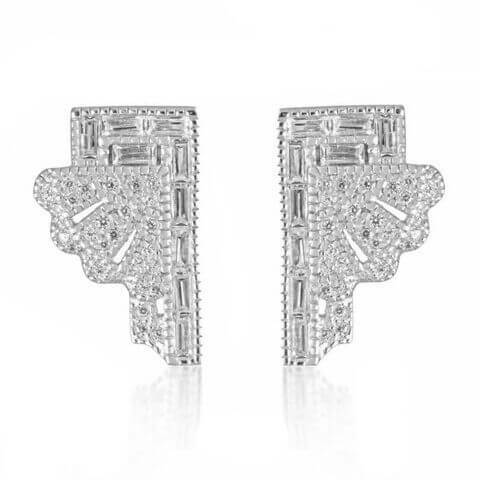 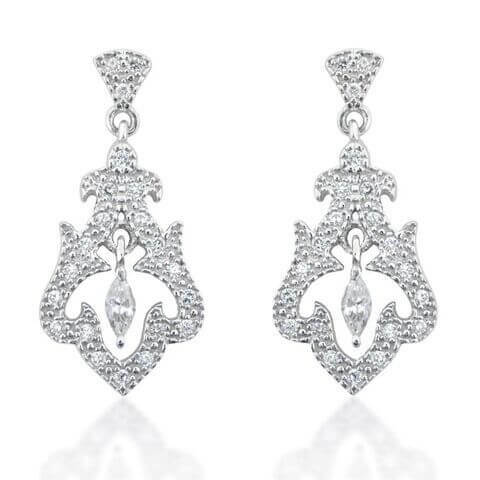 £85Inspired by natural beauty and femininity, the Rai earrings are each hand set with one marquise and 22 brilliant cut cubic zirconia stones. 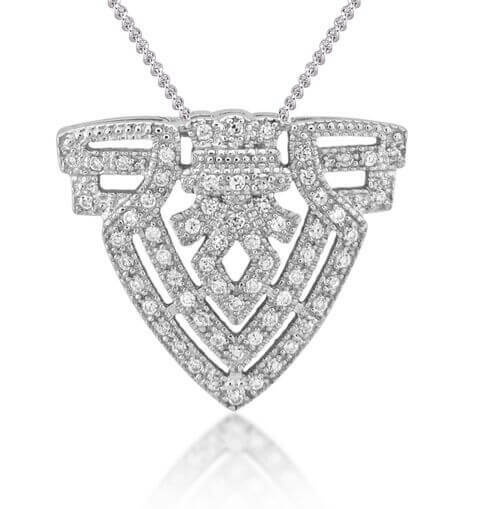 The top is hinged, as is the marquise stone, allowing it to suspend delicately in the centre. 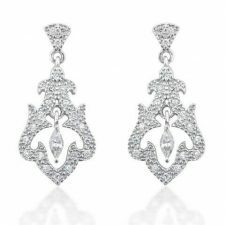 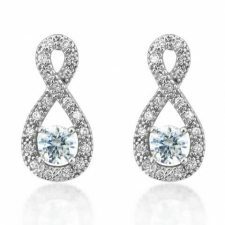 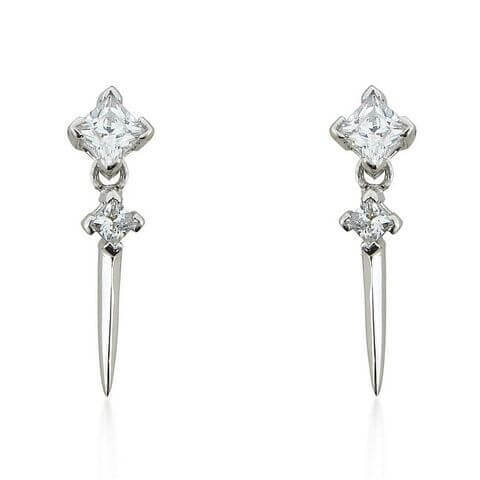 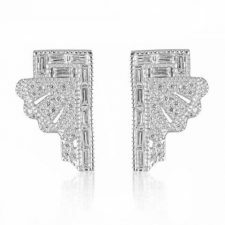 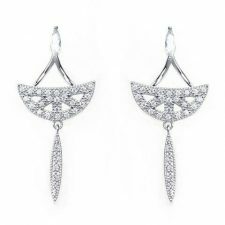 £45Two graduated cubic zirconia stones lead to a delicate and sleek point on each simplicity cascade earring. 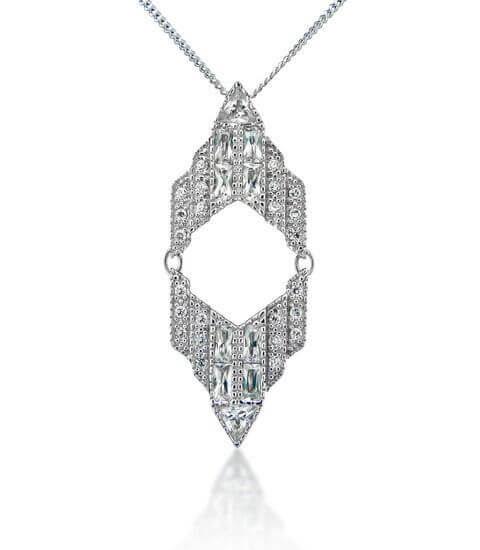 The smooth finish to the metal of this piece emphasises the basic beauty of the classic princess cut stones. 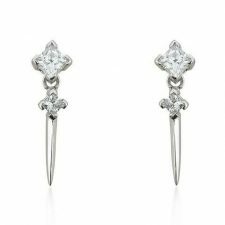 Fitted with a silver post and butterfly fastening for pierced ears. 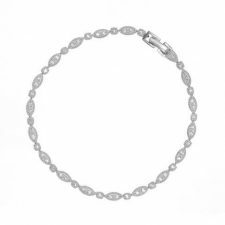 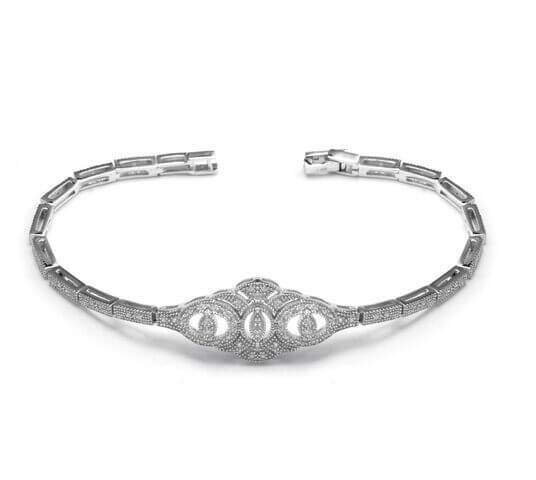 £185Inspired by linear forms in architecture, the Symmetry bracelet exemplifies the Art Deco style. 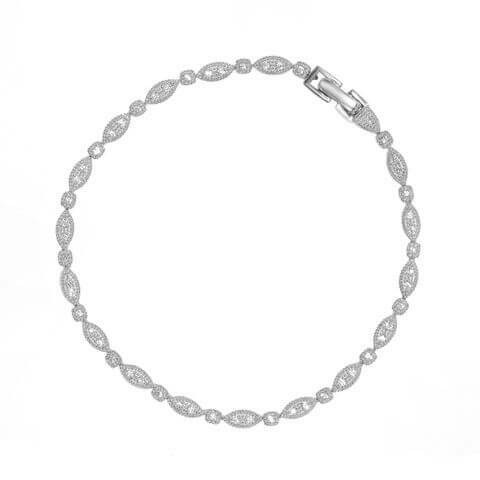 It hangs effortlessly on the wrist, lending a contemporary feel and breathing new life into a beautifully classic design. 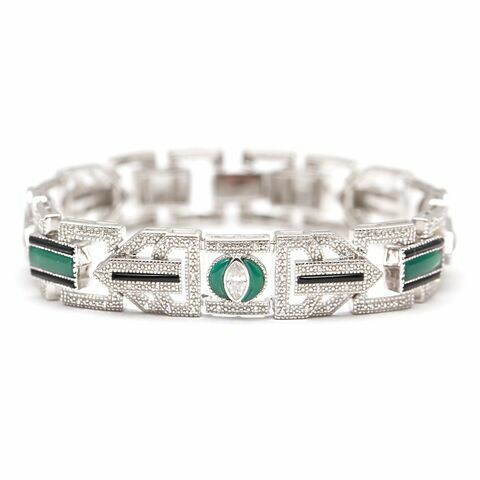 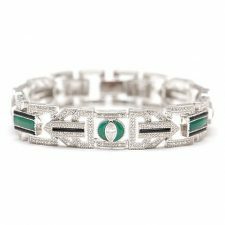 £450Each limited edition Art Deco bracelet comes individually stamped with a unique number under the clasp and beautiful campaign card certification detailing the history behind the piece you have chosen. 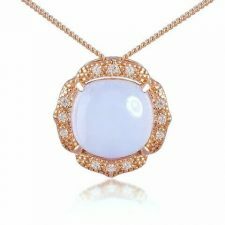 Please fill out the form if you have any questions about our products and we'll get back to you very soon .